WILMINGTON, Del. 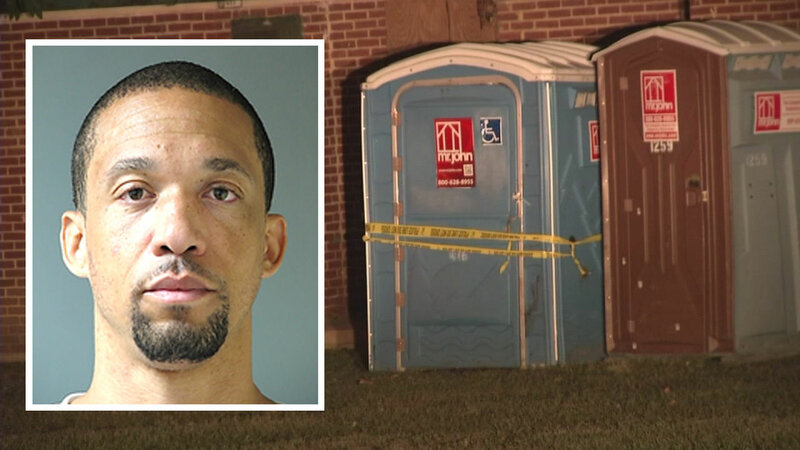 (WPVI) -- Wilmington police arrested a man for the murder of a woman who was found fatally stabbed in a portable toilet. 39-year-old Timothy Jones of Wilmington has been charged with first-degree murder. Police on Tuesday identified the victim as 31-year-old Rashawna Weathers of Wilmington. Officers were called to Kirkwood Park on the city's east side Sunday morning and were directed to a portable toilet on the west end of the park. Weathers' body was found inside the toilet, covered in blood. Police say she had been stabbed several times. Investigators have not released a possible motive for Weathers' killing.